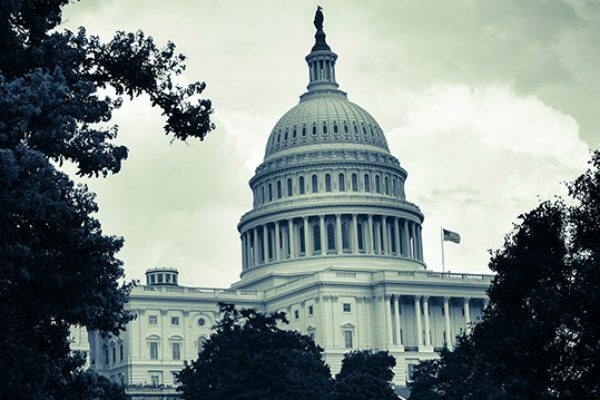 Last month, in an attempt to ensure that institutions of higher education are adequately protecting students from unlawful acts of anti-Semitism, lawmakers reintroduced the Anti-Semitism Awareness Act in Congress. However well-intentioned the legislation may be, it remains deeply flawed and a threat to the First Amendment. The definition targets “a certain perception of Jews, which may be expressed as hatred toward Jews” — a description so broad that it allows for the investigation and punishment of core political speech, such as criticism of Israeli policy. The second problem with the bill’s approach to addressing anti-Semitism on campus is that it opens up a dangerous Pandora’s box that would fundamentally politicize anti-discrimination law. Federal law prohibits discrimination. It does so on the basis of a list of protected classes including race, national origin, ethnicity, gender, disability, and religion, just to name a few. We rely on courts to analyze cases in their individual contexts to determine whether conduct amounts to unlawful discrimination along any of those lines. Our laws do not prohibit or try to define terms like racism, sexism, anti-Semitism, or Islamophobia. To do so in Congress or state legislatures would introduce political considerations into judicial determinations regarding those concepts. For example, is it racist to support affirmative action or to oppose it? Should that line be drawn by whoever has more votes in a legislative body at a particular time? Like proponents of the Anti-Semitism Awareness Act, FIRE is concerned that institutions of higher education have not been adequately responding to discriminatory anti-Semitic conduct. But we are also concerned that they may be inadequately responding to conduct targeting Muslims, Sikhs, Christians, and students of other faiths. One reason for this shortcoming may be that while it is unlawful for most institutions to discriminate on the basis of “religion” during the admissions process, “religion” is not a protected class under federal law for purposes of prohibiting discriminatory harassment. This should change. If Congress is to properly address anti-Semitism—and other anti-religious discrimination— on campus, it must make it unlawful for institutions of higher education to ignore allegations of student-on-student harassment on the basis of religion. Sometimes a student engages in anti-Semitic or Islamophobic harassment on the basis of cultural and ethnic stereotypes as opposed to the actual religious beliefs in question. In recognition of this, the Department of Education maintains a longstanding policy of exercising jurisdiction in some cases dealing with anti-Semitism or Islamophobia that manifests itself via reliance on cultural or ethnic stereotypes, pursuant to federal laws barring educational institutions from discriminating on the basis of ethnicity or national origin. This is a good practice and should be law. Because policy not enshrined in law can change abruptly, Congress should formally codify the Department of Education’s jurisdiction in those cases. The third step Congress should take to protect students from anti-Semitic and other forms of harassment is to statutorily define when conduct constitutes unlawful discriminatory harassment. The Supreme Court set forth that definition in Davis v. Monroe County Board of Education (1999). The standard set forth in Davis ensures that schools address discriminatory conduct without infringing on the First Amendment. Congress should reject the Anti-Semitism Awareness Act and instead take the three steps outlined above. Doing so would more comprehensively, inclusively, and effectively address religious harassment without sacrificing free speech in the process.